Selling your house online may not be the so called conventional method. Getting divorced, don't panic! 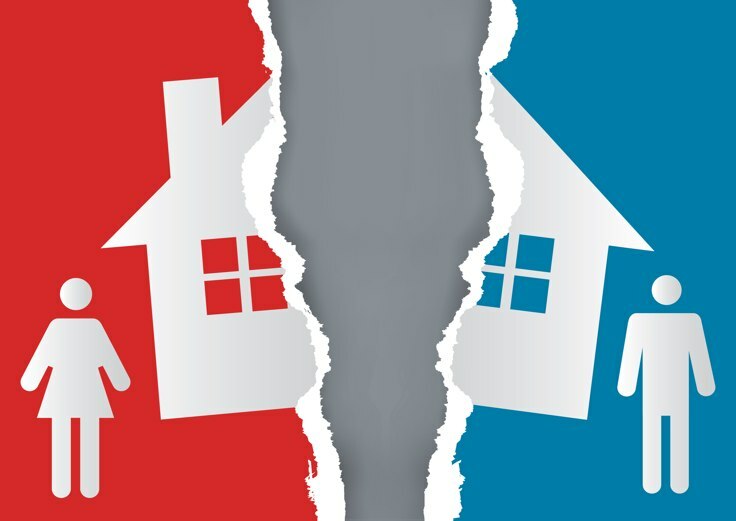 There may be many reasons you wish to sell your house quickly and one may be due to a divorce, in which a home becomes a central component of division. Not only a complicated financial hindrance but a divorce can also be devastating to those involved and what may be the future of one’s family home. There are many options to digest and selling your house online can provide a quick sale for both parties involved, taking the pressure off a difficult and stressful period of time. Taking one step at a time is crucial to understand how the home will be divided or sold. The home signifies much of a couple’s assets and will need to valued to decide what needs dividing. At a broader level, the starting point is 50:50, but other factors will determine the outcome, especially if young children are involved. When valuing the property, if it cannot be agreed upon by the couple, a court will order a joint report from a surveyor or local agent to provide an estimate and this will be a market valuation. As a couple, you may choose to sell and move out and therefore put the profit of sales towards the purchase of another house. If this isn’t applicable, one partner can potentially buy the other out or keep the home under the same named owner and then sell the house once your children reach 18 or leave school. In any case, once you decide to sell your house at whatever stage it occurs, we can offer a fast sale service within four weeks and offer up to 90% of the property value. We pay for all legal fees and valuations, an advantage over estate agents which are an added pressure when going through a tricky divorce. Next on the list of priorities is to ascertain which partner will transfer their name to the mortgage. The partner who has opted out of the mortgage can borrow more money to set themselves up elsewhere. The partner who remains in the house does not have to rely on a partner for money towards the mortgage and it means both partners can manage their own debts separately. If you choose to take over the mortgage in your name, your lender will ensure you can afford the payments. Divorce can be a delicate situation and to minimise the financial implications, selling your house online may be the most affordable and hassle free option so don't panic!